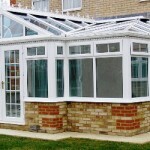 Based near Camborne, H and R windows are proud to boast a vast portfolio of Camborne UPVC Windows. We supply, supply and fit or simply just supply. Whatever you residential or commercial needs we have a team of professionals ready to help. Take advantage of our Camborne UPVC Windows free no obligation quotes. We can install our windows in a rage of style. If your looking for Bay windows, Sash windows or tilt and turn windows in the Camborne area, we are here to help. We will not be beaten on price or quality and our testimonials speak for themselves. We are open 6 days a week and you can get a quote back on the same day! Sometimes people are unsure of what windows they want, so we have found a great article for you to read about UPVC Windows types. We are also here to offer free advice if you are unsure. Please do not hesitate to contact us as we will offer free advice to all customers. Our Double Glazing Camborne service is available to all customers in the local area. 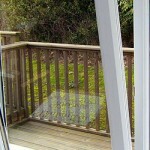 We have been fitting and supplying Double Glazing to Camborne, Redruth and Hayle for over a decade. 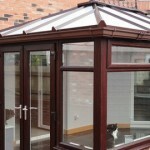 We will not be beaten on price or quality and all of our work is guaranteed. If your looking for Camborne Double glazing you have come to the right place. 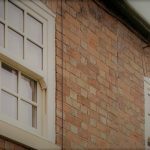 We offer Bay windows, tilt and turn windows, sliding sash windows and a host of other style. We can install aluminum, upvc or wooden windows and we offer a range of finishes and unlimited colors. We offer a free no obligation quote on all our Double Glazing jobs and we are confident that our price and quality will not be matched. Please get in touch with H and R Windows if you require further information about our products or services and please visit the following website if you would like to know more about Double Glazing.